250ml Bottle of Vanilla Cream Scented Natural Beard and Hair Shampoo. Fellows Essential Gentleman Beard Wash is free from artificial foaming agents such as Sodium Laureth Sulfate and Sodium Lauryl Sulfate, which can be harmful to sensitive skin. Instead, these artificial ingredients have been replaced with a vegetable-derived foaming agent that lathers quickly and cleanses deeply, without the risk of leaving skin dry and flaky. Vanilla essential oil has antibacterial properties which cleanse the skin, leaving it free from blemishes and acne. This essential oil is also renowned for keeping hair shiny and smooth by offering an abundance of B vitamins. 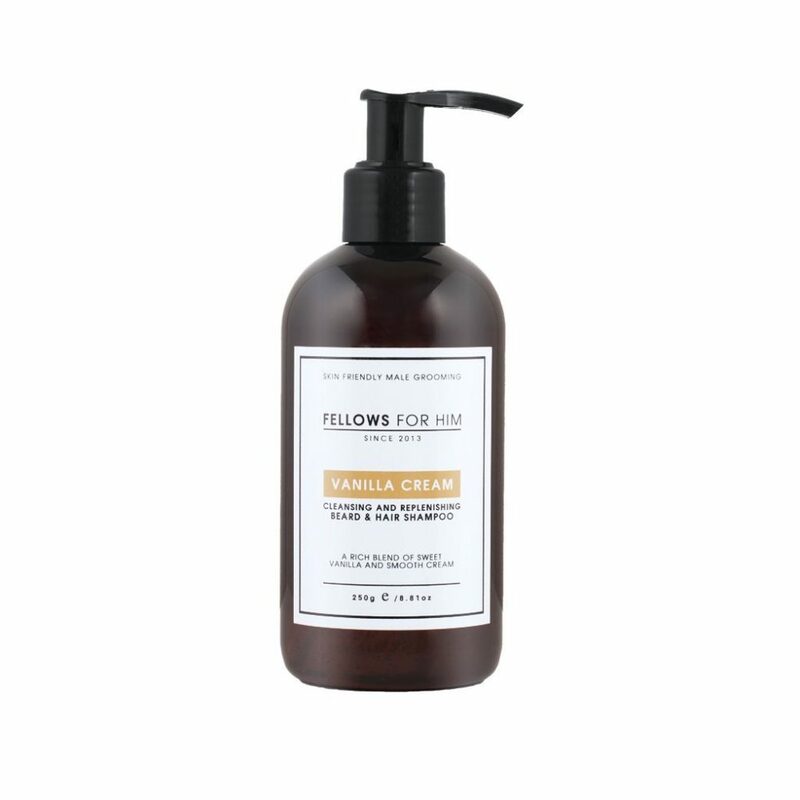 Has an amazing creamy vanilla fragrance that will leave you smelling sweet all day.